Running is exercise in its purest and simplest form. This means that it is easy to do and does not require too much expensive equipment. 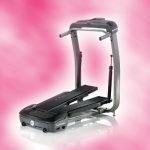 Of course, it is beneficial to purchase a treadmill so that you can work out no matter what the weather as well as on your own convenient schedule. 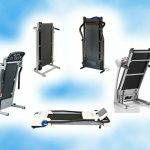 Treadmill workouts can be tailored to your specific needs in order to have you shedding all that extra padding that you are so desperate to get rid of. 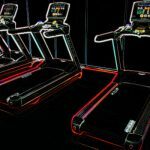 The type of treadmill workout you do, will be based on your personal fitness level and the goals that you have put in place. Are honest with yourself about where you should start. 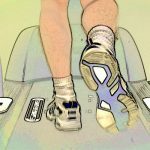 Remain motivated and persevere (treadmill workouts can be mundane but they work!). Maintain a healthy diet! Exercise combined with a good diet produces best results. This type of workout is the best type for a beginner who is just starting on their weight loss journey. It is one of the top fat burning treadmill workouts that you can do. Basically, it involves running at a steady pace for a long period of time. Fat burning and cardiovascular stress (the good kind) is reached when your oxygen consumption and heart rate remain constant. The intensity of this workout is low so you certainly should not be running too fast. Do not tire yourself out too quickly as the trick is to keep going for as long as possible. The speed and time period that you run will depend on your fitness level and what you personally feel comfortable with. For instance, you may want to begin running at a slow speed for fifteen minutes a day. However, it is important that you increase your length of time as you improve in order to continue challenging yourself. At some point, you should be able to jog at a slow and steady pace for one hour. You should be doing this at least three or four times a week. 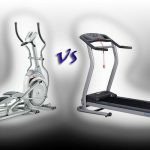 Interval workouts are especially useful when you have already lost a fair amount of weight through steady treadmill training but just cannot seem to knock off those last few little fat rolls. That is because your body has become accustomed to steady training and now needs a further challenge. 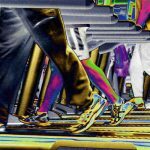 Interval workouts are easily done on the treadmill because you can adjust your speed easily and quickly. They involve jogging or walking for say two minutes and then sprinting at your maximum speed for one minute. You could then alternate between the two for approximately thirty to forty five minutes depending on how you feel. This type of workout is for a shorter period of time, however it is an example of a high intensity exercise. Perform interval training two or three times a week with steady training the rest of the week. Never perform interval training on an incline. Since you are running at a very fast pace, you could injure yourself. 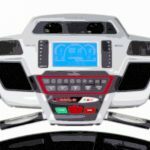 Most treadmills will have a random setting or something similar to it that will perform a combination of modes, speeds, inclines and so on in order to mimic a kind of trail running experience. The element of surprise in this workout causes the body to use up more energy. You can begin incorporating these types of workouts once you have worked your way through steady and interval training. It is most effective for weight loss when worked into a full regimen that combines steady workouts and interval workouts and is great for burning off those very last stubborn pounds. Therefore, once you have lost all your weight, you may want to look into some toning. Nothing produces gorgeous thighs and glutes quite like the incline on a treadmill does. Start with small inclines and work your way up. The best results appear with inclines over 10%. Always warm up and stretch before a treadmill workout. Stay hydrated! Running is strenuous so drink lots of water before, during and after your workout. Allow for rest a repair time.